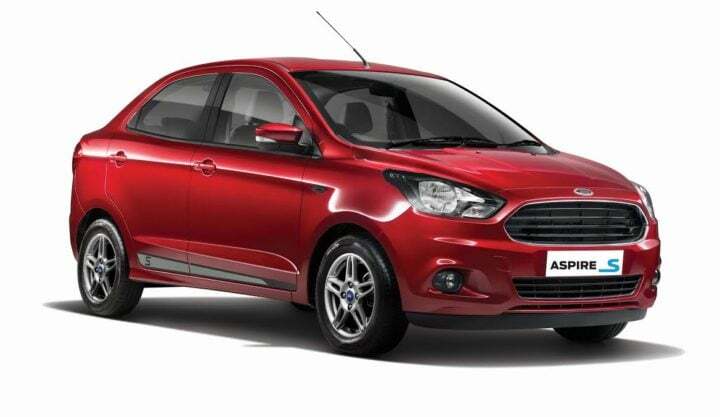 Ford India has come up with a Sports Edition of the Aspire compact sedan. 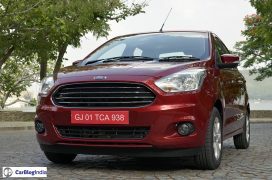 Called the Ford Aspire S, the latest variant features sporty cosmetic updates and is based on the Titanium trim. Prices of the new Aspire S model are roughly Rs 30,000-35,000 higher than those of the Titanium trim. 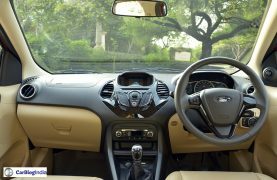 The Aspire S carries several new cosmetic features, all of which work together to impart a sporty touch to the Figo-based compact sedan. 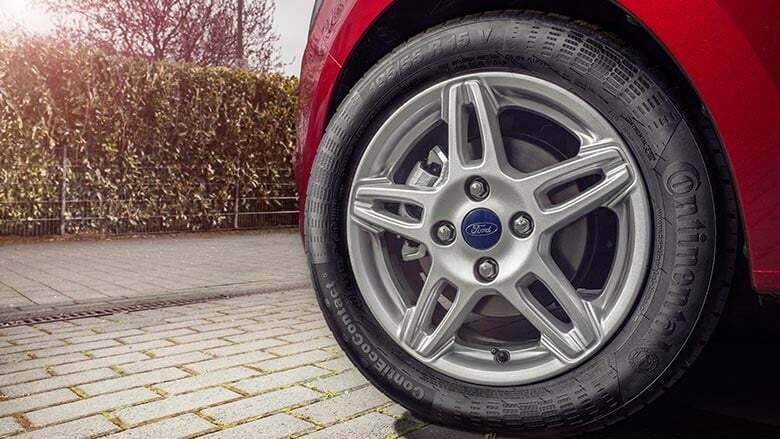 Read on for all the available details on the new 2017 Ford Aspire S.
The Aspire S has gone on sale with two engine options- 1.2 Petrol and 1.5 Diesel. 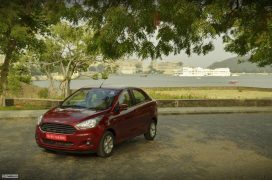 While the Petrol engine variant costs Rs 6.51, the Diesel model in on sale for a price of Rs 7,60 lakh (ex-showroom). 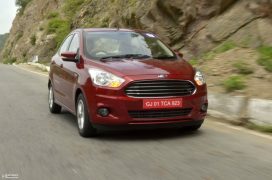 Just like the 2017 Ford Figo S, there aren’t any changes in the specifications of the Aspire S either. 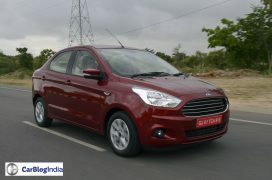 So, you get the same 1.2 L and 1.5 L Diesel engines that power the regular car. 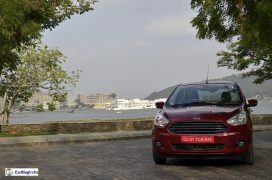 We are not too happy that the 1.5 TiVCT with excellent Dual Clutch Autmatic transmission is not available with the S variant, but the 1.5 Diesel, which is quite a powerhouse of an oil burner, should validate the sporty aspirations of the new 2017 Aspire S. The Aspire S comes with a tweaked suspension for sportier road handling. While the specifications are the same as before, the fuel mileage figures are slightly lower. This is due to the added weight and beefier tyres. 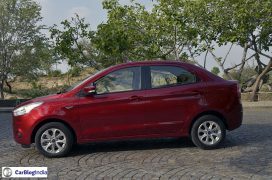 Unlike the Figo S, the sports edition Aspire S does not get black alloy wheels or a honeycomb grille, which means the Aspire S retains the same grille as the standard variants of the compact sedan. However, the grille does come without the chrome finish. Another highlight is the all-black interior for the Aspire S. The regular Aspire offers a black-beige combo. 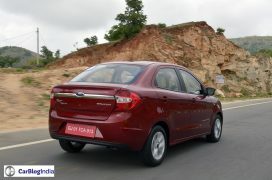 Stay tuned for latest news updates and test drive review of the new 2017 Ford Aspire S. Are you looking forward to the Ford Aspire Sports Edition? Do let us know via the comments section below.